When you come by Thoroughbred Ford, you can get a real look at the Taurus and all that this vehicle offers. If you are looking for a full-size sedan that will impress you with its design, stop by our Kansas City showroom to see what this Ford offers to you. 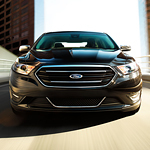 The aerodynamic shape of the Ford Taurus is something that is truly special and that sets this sedan apart from other sedans parked near it. This car has the kind of look that makes it appear to be in motion even when it is stopped. Available in three models, the 2019 Ford Ranger has an all-new design that appeals to adventurous people in Kansas City. You can test drive and explore the technical specifications of this mid-size pickup truck at Thoroughbred Ford. 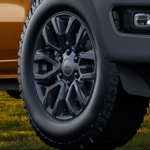 The FX4 Off-Road package boosts the Ranger's performance on unpaved surfaces. This optional package includes the Terrain Management System, which optimizes contact between the wheels and the ground. A single mode is tuned to improve traction on snow and gravel. There's also a custom mode for riding on mud and rats. Stepping on the scene in Kansas City at Thoroughbred Ford is a versatile vehicle model that needs your professional eye for closer examination. 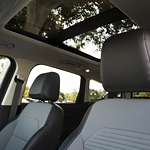 Take out time from your busy day and head to Thoroughbred Ford so you can inspect every versatility feature this vehicle can offer. When Kansas City drivers are searching for a new vehicle, they want one that offers plenty of power and performance. 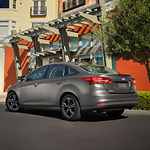 It is for this very reason that the team here at Thoroughbred Ford so often recommends the new Ford Focus. This popular compact car is, quite simply, one of the best performing vehicles in its class. We have been particularly impressed with the Focus's AdvanceTrac Electronic Stability Control system. This feature constantly monitors road conditions and makes engine adjustments to ensure that the driver always enjoys responsive cornering and smooth handling. Most people don’t realize the kind of power waiting for them with the all new Ford Explorer. The 2019 lineup from Ford boats the power and performance of American muscle, while also considering some of the features that drivers love to see for the daily commute. If you want an SUV that can do it all and look amazing, the Ford Explorer is the one to beat. Ranked in the top 20 of midsize SUVs by US News & World Report, the Ford Explorer has a base engine that puts out 290 horsepower. If you’ve been looking into buying a crossover as your next vehicle, it’s a great time to get to know the Ford Escape. 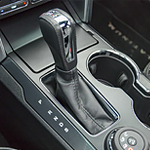 The team at Thoroughbred Ford is pleased to bring the latest edition of this popular brand to Kansas City, and we look forward to showing you all the newest features in more detail. 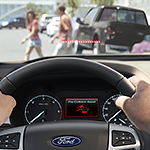 The Ford Expedition can do many things for drivers to help them on every journey. This has led the Ford Expedition to be one of the top vehicles on the road today. 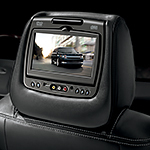 One example of the help provided by the Ford Expedition is the guaranteed room in the vehicle. Almost nine people can fit in the vehicle at any given time, and all of these individuals will be able to control their own atmosphere and seat temperature. At Thoroughbred Ford, our staff is excited to announce that our 2019 Ford SUVs, trucks, and cars will offer the Ford Co-Pilot360. 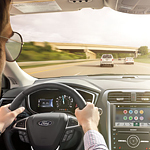 The Ford Co-Pilot360 is making headlines because it offers the most advanced driver-assist technologies in the automotive industry. This package comes with a number of features, and you can read about a few below. When it comes to practicality and convenience, it is very tough to beat the new Ford Flex. 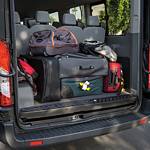 This popular three-row midsize SUV is packed full of convenience features that are sure to please driver and passengers alike. Ford just issued an exciting press release detailing what we can expect for the 2019 Ford Fusion. Drivers are eager to test drive this incredible new model when it hits the lots because it is expected to include helpful new safety features thanks to updated technology.